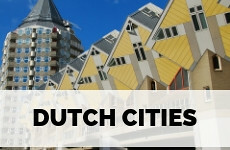 Leeuwarden has been getting a lot of attention by the international press and bloggers this year, as the city in the north of The Netherlands was chosen Capital of Culture 2018. 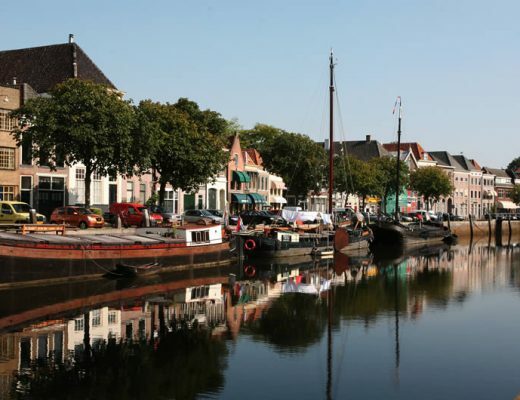 Personally, I think Leeuwarden is absolutely lovely and worth the trip if you come to visit. And there’s one sight that you really must see in Leeuwarden. The old prison Blokhuispoort. 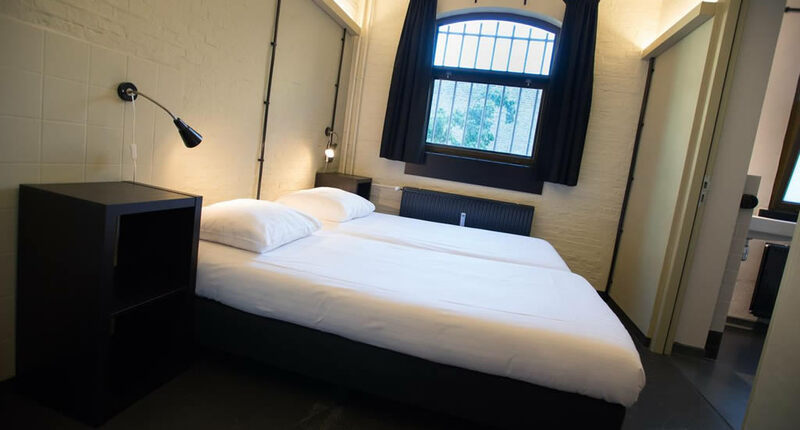 It has been renovated (but not too much), so now you can shop, eat and even sleep in jail. 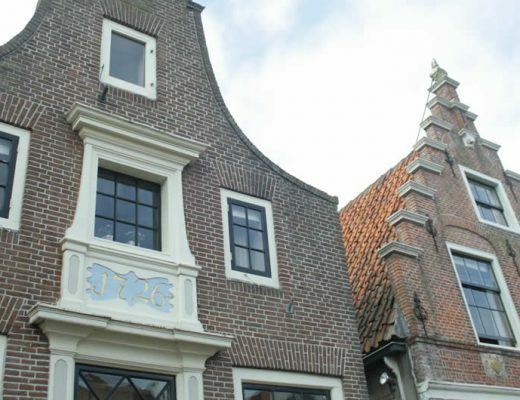 Can you imagine that not too long ago the creepiest criminals in The Netherlands stayed in this kind of lovely monument at the edge of Leeuwarden’s city centre? It was built in 1499 as a fortress but soon became a prison in 1580. From the 1850’s the jail was only meant for men who would serve 5 years or longer. During the Second World War members of the resistance were locked up here, but they were freed in 1944 by their fellow fighters. 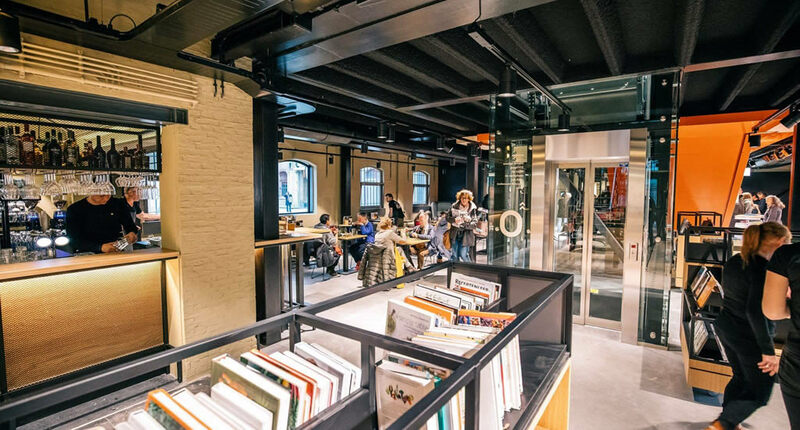 In 2008 a larger and more modern facility was built outside the city centre and Blokhuispoort was converted into a creative hub for small companies, cafés, restaurants and even a hotel, though the function of the former jail is still very visible in all businesses present there today. 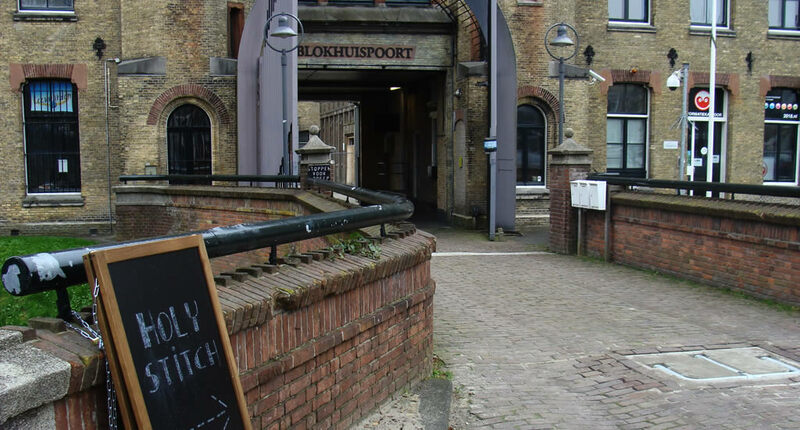 If you’d like to learn more about Blokhuispoort join one of the guided walks on Saturday afternoon. 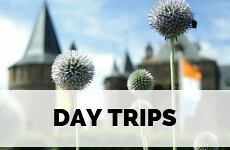 However, it is possible to visit Blokhuispoort whenever you visit Leeuwarden as there’s simply lots going on. Over 130 small businesses occupy the former cells. 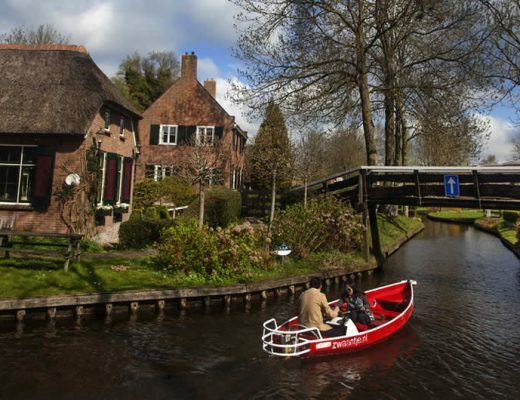 Once every 6 months or so you’re in luck when visiting Blokhuispoort when Holy Stitch takes place. Holy Stitch is a handmade market and many young and upcoming designers and webshops rent an old cell for a day or two showcasing their designs and organising workshops. 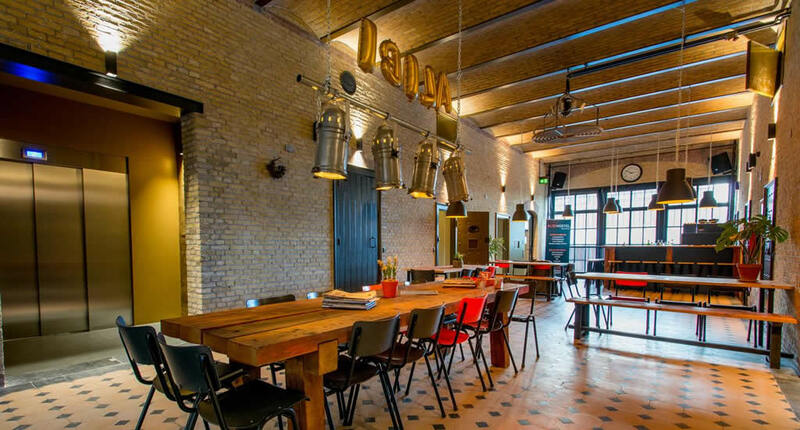 ‘De Bak’ means as much as ‘gaol’ in Dutch, so this café chose the perfect name, with a matching venue. The owners affectionately call the café the living room of Blokhuispoort and indeed, it’s a great all-day place to have a coffee, a bite to eat or a drink. The menu offers some lovely local craft beers, which are definitely worth trying. When the weather is nice enough, the outdoor seating options are lovely as well. This restaurant and bar (which name means ‘Probation’) are slightly more upscale and an absolute gem. 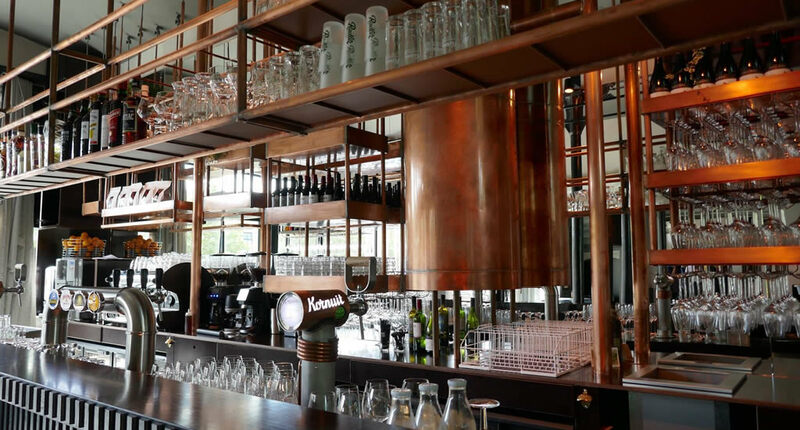 I highly recommend going here for dinner or a cocktail or two during your visit to Leeuwarden. 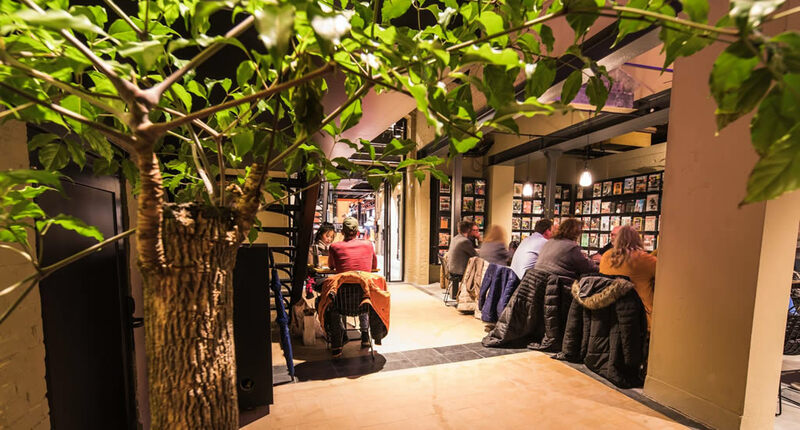 In winter it’s great to talk about your day with a drink by the fire, but if you’re up for it, make a reservation and have dinner in one of the old jail cells. Spend the night in jail, without the staying locked up part or paying bail. It’s not only a fun place to stay, but also very budget friendly. 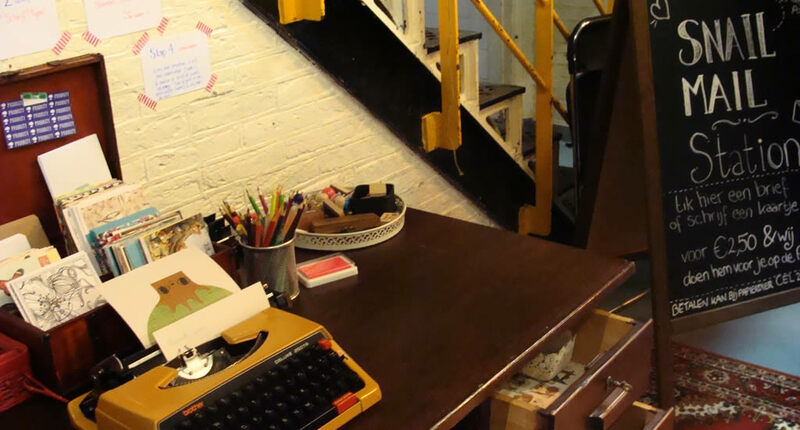 Alibi Hostel offers dorm rooms (with a maximum of 4 beds), but also double rooms with an ensuite. The rooms are light and bright but have been purposely been left a little bare as to honour the history of the building. The shared facilities, like the snug living room and the bar, absolutely make up for all of this as these have the cosiest furniture and are fun to hang out. 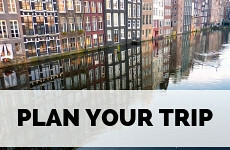 And you are staying as central as possible, as most sights of Leeuwarden are less than a 15 minute walk away. It’s easy enough getting to Leeuwarden. From Amsterdam, take the train (you will have to change once), and you’ll reach Leeuwarden in 2 hours time. 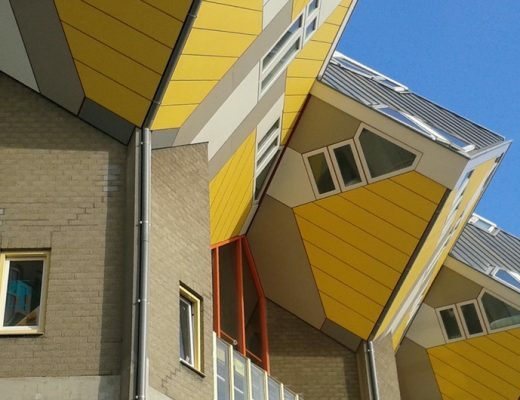 Read more about Capital of Culture 2018, Leeuwarden and why you should really visit now. 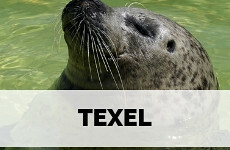 Plan your trip to Leeuwarden and the north of the Netherlands using my extended city guide Leeuwarden. Travel journalist, organised chaot, Tour de France lover, black cat and black coffee aficionado all rolled into one. 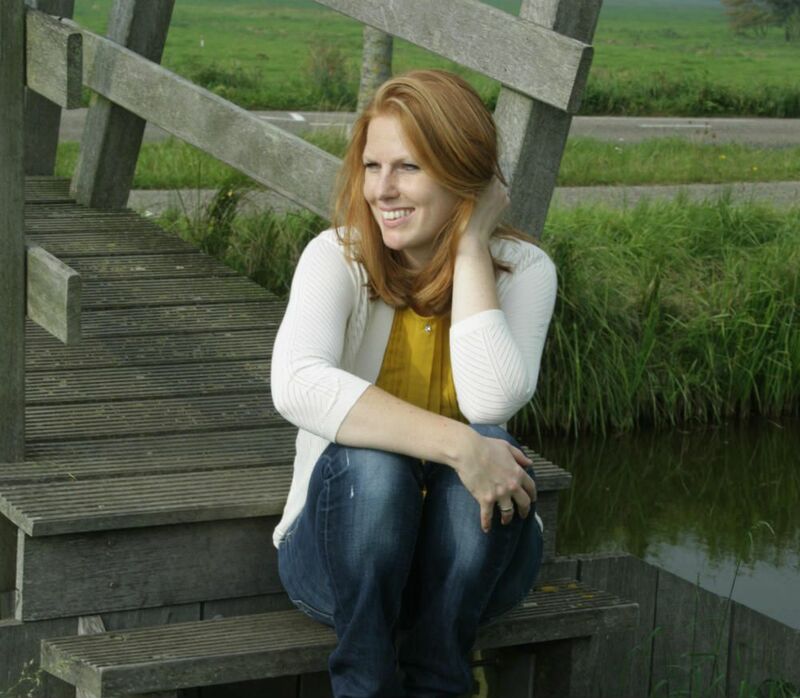 The voice behind Your Dutch Guide, helping you to explore The Netherlands beyond Amsterdam. I have been there twice and really had a blast. Thanks for sharing. 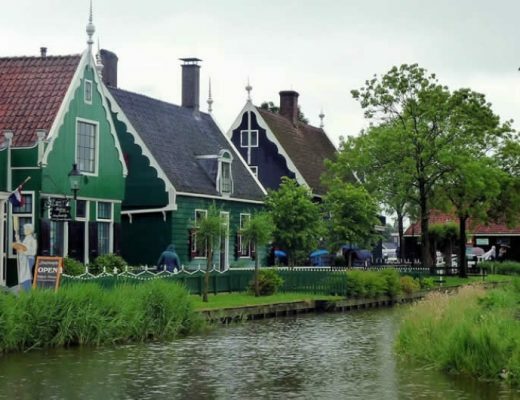 This is the first time I’m hearing of Leeuwarden, from the pictures and what you have shared makes me want to visit this place. Thank you for sharing the beautiful place. Looks like an awesome experience. Love the photos.